Perfect for fans of Margaret Peterson Haddix, When You Reach Me, and Savvy, this charming time-travel story from husband-and-wife team Marisa de los Santos and David Teague follows one girl's race to change the past in order to save her father's future. Thirteen-year-old Margaret knows her father is innocent, but that doesn't stop the cruel Judge Biggs from sentencing him to death. 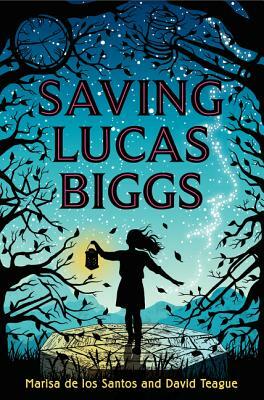 Margaret is determined to save her dad, even if it means using her family's secret—and forbidden—ability to time travel. With the help of her best friend, Charlie, and his grandpa Josh, Margaret goes back to a time when Judge Biggs was a young boy and tries to prevent the chain of events that transformed him into a corrupt, jaded man. But with the forces of history working against her, will Margaret be able to change the past? Or will she be pushed back to a present in which her father is still doomed? Told in alternating voices between Margaret and Josh, this heartwarming story shows that sometimes the forces of good need a little extra help to triumph over the forces of evil. David Teague is the author of the picture book Franklin’s Big Dreams. With his wife, Marisa de los Santos, he is the coauthor of Saving Lucas Biggs and Connect the Stars. Married for over twenty years, Marisa and David live with their two children, Charles and Annabel, and their Yorkies, Finn and Huxley, in Wilmington, Delaware. De los Santos and Teague craft a gentle, quiet sci–fi story where the focus is not on the science…love, nonviolence, and social justice are. Give this one to readers who like stories about family, doing the right thing, and standing up to those who don’t.